This one is Mini's favorite. It's not my favorite. My husband, the attractive yet curmudgeonly Cap'n Coupon, took the kids and I out to dinner and for some reason, we all started talking about Barbie movies. Mini loves them and we have about a million of them on DVD from when Lina was little. I hate to admit this. But we all have our favorite Barbie movie. I like many of them in spite of myself. I don't want to, OK? But I do. The songs are often very nice. Also, there's surpassingly good voice talent in a lot of them (Angelica Houston and Martin Short, for example). And it's not just me, either. Once long ago when people still went to BlockBuster on Fridays and that dictated how happy their weekends would be, I went to rent something. Standing in front of me was an enormous biker in head-to-toe black leather with a large, faded out neck tattoo. In one hand was his skull helmet and in the other was a copy of "Barbie in Swan Lake". He caught me looking at it and shrugged. Then he said: "My 4 year old loves it and honestly, it's not that bad!" and I was like: "Oh I know. I like that one. 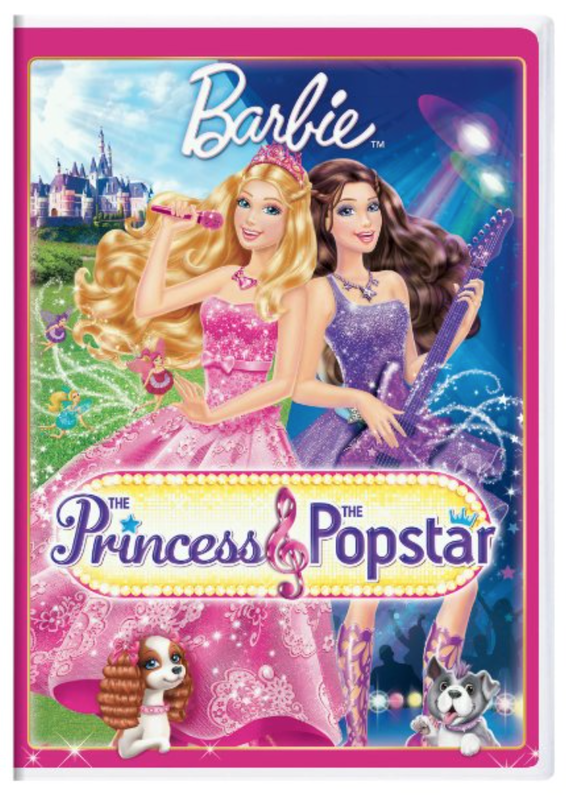 Have you seen Barbie in the Princess and the Pauper? That's also good." And we chatted about Barbie movies for the duration of our wait in line and it was lovely moment. So back to the present. We're at dinner discussing Barbie movies and the Cap'n suggests, just to make conversation, that we take turns coming up with new themes and titles for future movies. We all went around the table a couple times and made suggestions. These are the ones I could remember. We are clearly all mental cases. We are weirdos but we do enjoy this sort of thing. And now, to spend a nice snow day watching Barbie and The Diamond Castle.